Hitachi air-conditioners can be seen among different households and sometimes offices or schools in Singapore. If you are using a Hitachi aircon Singapore, we are able to provide you with quality Hitachi aircon servicing in Singapore. Not to worry if you ever encountered any aircon issues such as aircon leaking, aircon not working, aircon automatically switch on and off, we are able to assist and rectify your aircon issues. Due to the extreme weather in Singapore, it is important to ensure that your air-conditioning system is being maintained in top notch condition. In order to keep your units in working condition, you need to engage regular servicing and cleaning services by professionals in Singapore. All air-conditioner, including Hitachi units requires regular servicing to ensure they are in good working condition. With our quality Hitachi aircon servicing, we have the appropriate tools, equipment and experienced technicians in performing the servicing for your air-conditioning units. In our aircon servicing Singapore, it involves cleaning of different parts and components and ensure that the components are in working condition and are working smoothly. When our technicians are servicing your units, they will also carry out regular checks on your air-conditioning system. If there are any issues detected, they will be able to get it fixed. Thus, by engaging our Hitachi servicing aircon, it will ensure that any issues detected in the early stage is being rectified before the worsening of the issue. This will help you to save time, energy and money. During the operation of your air-conditioning units, there will be times where you will face problems with your units. Some of the common aircon problems faced by local households are water leaking, aircon not cold, not working, abnormal noise, strange smell and many more. If you are facing the above air-conditioner problems or any other problems, you can look for us. We provide qualified Hitachi aircon repair services in Singapore and we believe that we are able to diagnose the cause of your problems and rectify it efficiently. All of our aircon technicians are professionally trained and have years of experience in repairing different types and brands of air-conditioner, including Hitachi aircon Singapore. Thus, if you are facing any aircon issues, you can safely hand us your air-conditioner and we will be able to perform quality repair jobs and regain the operation of your units. We specialise in all residential, commercial and industrial premises, hence, you can contact us if you require servicing or repair Hitachi aircon for your home or office. Aircon chemical wash is one of aircon services that provides effective and thorough washing of the air-conditioning system. During the operation of your air-conditioning system, there will be dust and dirt accumulated in it. In some cases, there may be even bacteria and mold around it. Hence, the chemical cleaning can effectively remove all the dirt, dust, debris, bacteria, and mold that have accumulated in your system. There are many benefits from chemical cleaning such as stronger airflow, increase cooling efficiency, clean and healthy air and also ensure that your units are working smoothly and in good condition. At Wei Wei Aircon, we have the equipment, tools and experienced technicians in performing quality Hitachi aircon chemical wash in Singapore. Hence, regardless you are using your air-conditioner in your residential, commercial or industrial premises, we are able to provide you with quality chemical cleaning Hitachi air-conditioner services in Singapore. Regular aircon maintenance is important in up keeping the condition and performance of your Hitachi air-conditioning system. It can help you to keep your air-conditioning units operate efficiently and effectively. If you are using a Hitachi unit, you should get it serviced and cleaned regularly by our professionals. Regular maintenance has many benefits such as improving operating efficiency, improve air quality, improve airflow, improve cooling efficiency and many more. The improved efficiency of the system will reduce the energy consumption of your units and in the long run, it will help you to reduce your energy bills. Most importantly, it can keep your system in top notch condition and reduce the possibility of breakdown problems which will help you to save on the future hefty repair cost. Hitachi manufactures many different types of air-conditioners such as Hitachi aircon split system, ceiling cassette, ceiling suspended, ceiling ducted and many more. Hence, you may see Hitachi air-conditioner in many different places such as home, shopping mall, warehouse, office, church and many more. Our aircon installers are certified and all of them have years of experience in the air-conditioning industry. 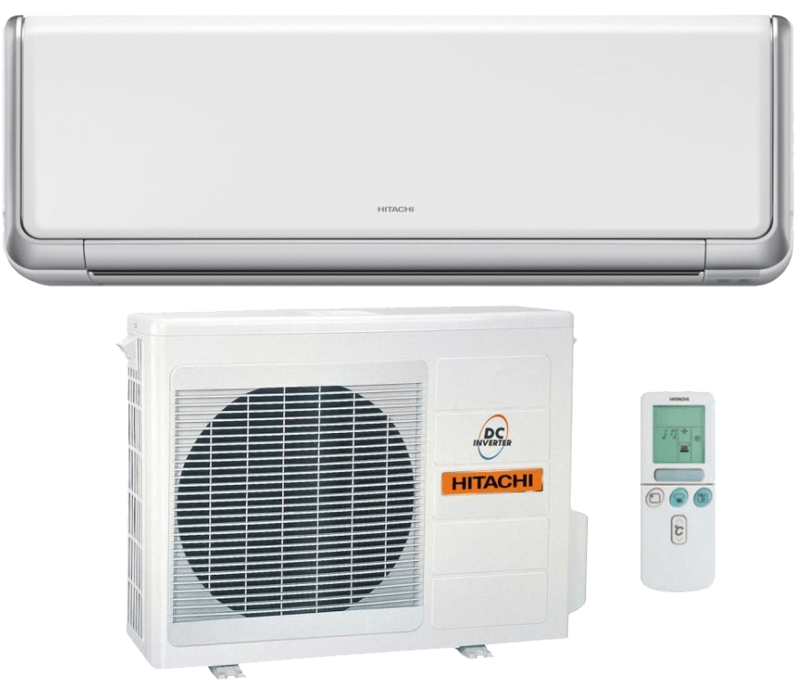 They are able to provide reliable and certified Hitachi aircon installation in Singapore. Other than that, they are also capable in Hitachi aircon replacement in Singapore. Do not worry if you are looking to install or replace Hitachi air-conditioning, as we have the tools and equipment and experts to perform the job. Contact us for more information about our aircon services today. With years of experience in the air-conditioning industry in Singapore, we are able to provide a wide range of aircon services such as servicing, repair, chemical wash, installation, replacement and many more for your Hitachi air-conditioning system. We are experienced in various types and brands of air-conditioner, including Hitachi aircon in Singapore. Hence, if your air-conditioning system is Hitachi brand, you can engage in our aircon services such as regular maintenance and we will check and ensure that your units is in tip top condition. Feel free to contact our friendly staff today to find out more about our services such as servicing and repair.